Treating termites before construction starts can help you defend against possible claims in the future as they frequently dwell where there is a high concentration of moisture and dampness. In old houses, these are frequent problems because they tend to live in obstructed or blocked water supply and sewerage pipes. 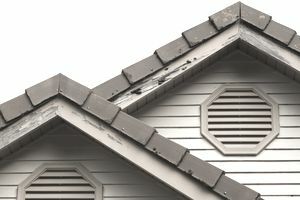 Several projects' construction specification require protection for termites in their finishing, and several others request a termite free environment. Treat the bottom and sides of an excavation with chemical products prior to the onset of foundation work. Make holes in the earth and fill them with chemical products where slabs on grade will be built. Use chemicals where walls and floors intersect. Treat the perimeter of the construction by making holes filled with chemicals surrounding structure. Use specific anti-termite chemicals to treat the portion of the buildings were wooden products such as cabinets, doors, and others will be placed. We cannot always take measures during pre-construction, but there will be means to react and catch up with a different approach. As in the pre-construction process, make holes and filled them with chemicals, to create a barrier around the house. Treat the floors and walls by drilling holes and filling them with chemicals. All walls or the vast majority should be treated to ensure that no more spreading will continue. Apply chemicals on all points of contacts of wood with the ground or with any part of the building. Also, treat any voids in masonry with anti-termite treatment. Change and replace wood products or furniture that have high impact and presence of termites, beyond any limit of reparation. When all measurements have been taken, perform these simple steps to ensure that your area keeps free of termites. Keep drains and gutters clean to avoid leakage. Make sure that there are no blocked lines, no filtration nor broken pipes with excess moisture around them. Eliminate all sources of moisture. Do not leave unattended areas where there is a high concentration of humidity. Clean those areas periodically. Apply chemicals as soon as you detect areas where termites are congregating. Remove wood products that have had the presence of moisture or have been in contact with water for a prolonged time. Do not bury direct pieces of wood in the ground for any use.